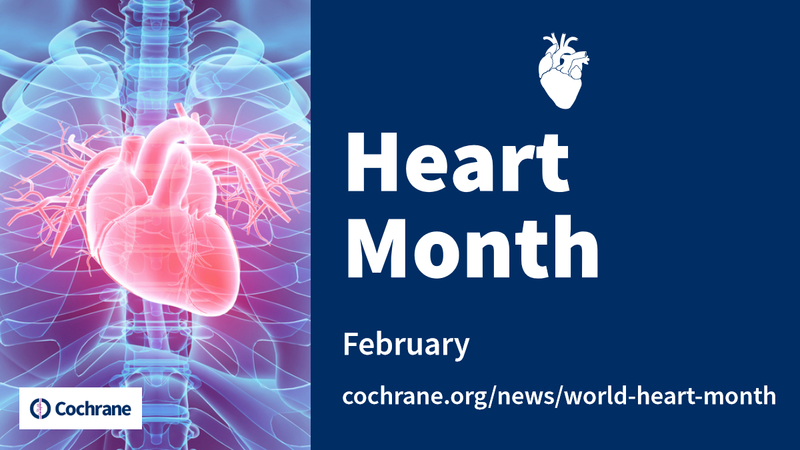 In North America and elsewhere, February is marked as 'Heart Month' - a time to bring attention to the importance of cardiovascular health and what we can to reduce our risk of cardiovascular disease. 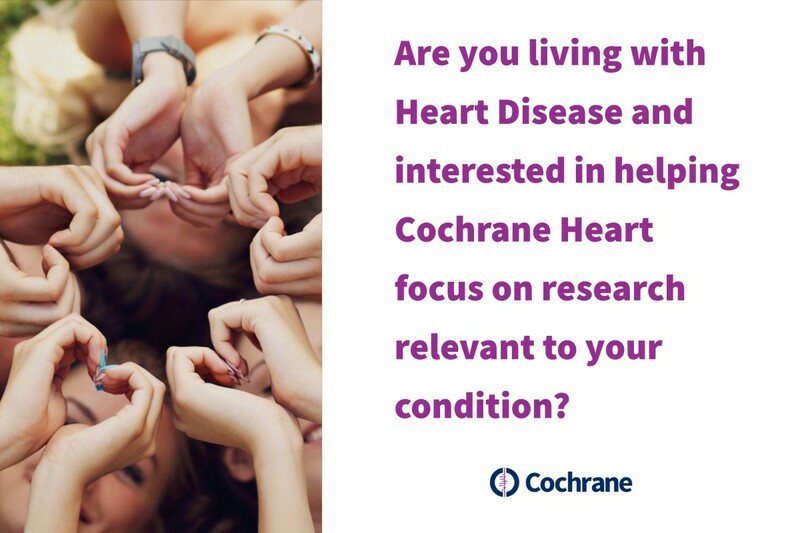 The Cochrane Heart Group was established in1998. It's aim is to prepare, maintain and promote the access of systematic reviews of the effect of interventions for treating ischaemic and all other heart diseases and preventing cardiovascular diseases. They have over 30 editors and nearly 1,000 authors. Their wide membership includes clinicians, researchers, and healthcare consumers who share an interest in generating reliable, up-to-date evidence relevant to the prevention, treatment and rehabilitation of particular heart problems.